Home/Business Development, Open Source, Startups and Entrepreneurs/Is Woocommerce the ultimate ecommerce solution for WordPress? In my personal and professional opinion, yes! I use WordPress almost everyday. Throughout my career, I have used WordPress to create over 40 websites. It is the perfect compromise between seo structure, usability, and design capability. The plugins that are available for WordPress allow for easy integration of amazing functionality. Although, I have always been weary of plugins, as they are often developed by people with less than desirable coding practices. These poorly coded plugins can cause speed and/or security issues with your website. Today I will introduce you to one of the best plugins for WordPress, Woocommerce. It has the speed and security to bring a fully functioning store to your WordPress website. Woocommerce is an open source e-commerce plugin. 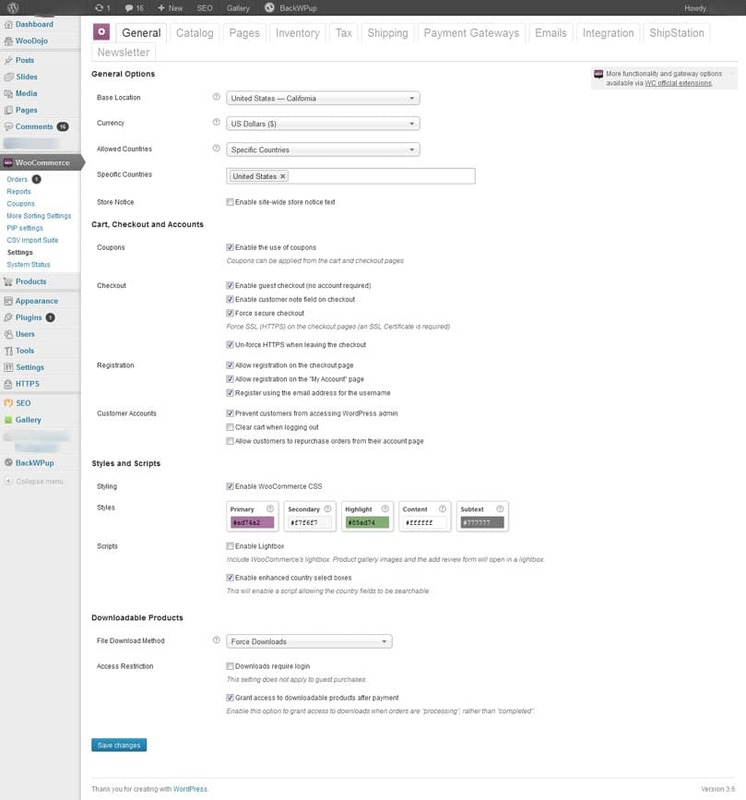 You can literally go to woocommerce github and look at the change log and all the coding that makes woocommerce work. This allows for the core functionality to be improved via crowd sourced development, while at the same time encouraging developers to create a plethora of extensions to the plugin, along with some incredible themes. Another awesome resource for Woocommerce is Woothemes. Woothemes, which itself is structured on Woocommerce and WordPress, is a website/team of developers who consistently support Woocommerce with documentation, extensions (plugins), themes, and more! Looks intimidating, but trust me, it’s easy and efficient once it’s configured properly. Are you considering starting an e-commerce website? Do you have an e-commerce store that needs an upgrade to modern day web technologies?